So yesterday we had a Netflix and wine kind of evening, and a little too late my driving instructor texted me asking if I could do an extra lesson today, as I really need the final ‘touches’ before doing the test…I said yes and now I kind of wish I didn’t. Not because of the wine but it’s Friday and I had some other plans as well. It’s funny how the mind works tho…I really really want to get this whole thing over and done with, it’s been like a year of practising on and off (my instructor has days where he just don’t ‘go to work‘, which means I sometimes have weeks of not driving) but as much as I want it, every lesson is accompanied with a dose of anxiety. On another note, today I’m applying for a course in interior & design. Will keep you posted, I’m sure it’ll be fun, I always wanted to do something ‘real’ with my creativity, but never really found the right thing. Malta is sometimes a little limited, so fingers crossed about this one! My morning detox juice, doesn’t it look so tempting! 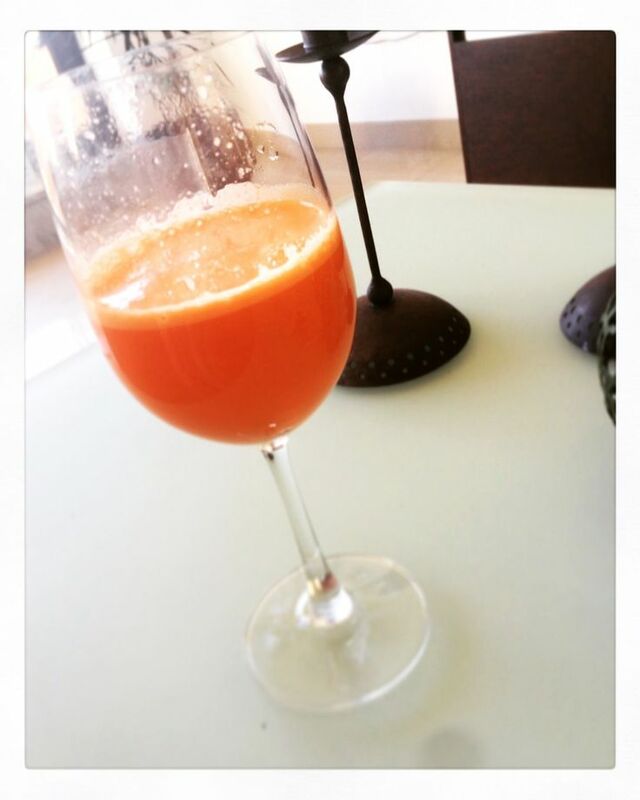 Love it – carrot, apples and lots of ginger!